South Africa, who has already lost the series, will rest Steyn and Jacques Kallis for the 3rd and final ODI against Pakistan at Centurion on Coming Saturday. 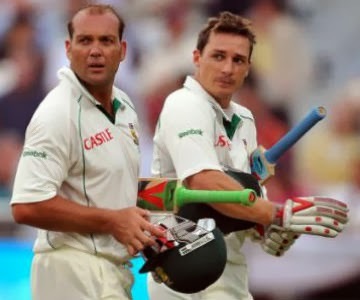 South Africa Fast Bowler Steyn has a mild side strain while all-rounder Kallis has a badly sprained little finger. South Africa starts a 3-match 50-over series against India next Thursday followed by 2 tests. Steyn and Jacques will play a key role in the series against India so we felt it was necessary to take precautionary measures so that they are in prime condition, team manager Dr Mohammed Moosajee said on Thursday. Pakistan leads the ODI encounter 2-0, their 1st bilateral series win over South Africa. Zaheer has been recalled to the India Test squad for the forthcoming tour of South Africa. Zaheer Khan is one of 5 fast bowlers for the 2-Test series, and the only newcomer to the 17-member squad is the batsman Ambati Rayudu. However, there was no place for the opener Gautam Gambhir, who scored a century for Delhi in the Ranji Trophy days before the BCCI selection meeting. Australia have a better strategy to defeat England in the Ashes this time round after learning hard lessons from their defeat earlier this year, paceman Peter Siddle said Monday. Michael Clarke will be looking to reverse his team fortunes in the 1st Test starting at the Gabba on Thursday after their 3-0 defeat on English soil, and Siddle said the pace trio of the recalled Mitchell Johnson, Ryan Harris and himself were ready to go. Our plans have got a lot stronger, Siddle told reporters. We know what to do in a different way. We know how to approach it and we'll attack it hard.Peter Siddle gets some advice from bowling Coach McDermott. We know there is a few players we need to work on and no doubt we'll have them covered starting on Thursday. Johnson is set for his first Test since Australia loss to India in March, while Harris will be hoping to build on his success in the last Ashes series in which he was Australia best bowler, taking 24 wickets in 4 Tests. I think his experience is going to be great throughout this series, Siddle said of Johnson. I just think his knowledge of the game, his skill he is taken over 200 Test wickets, that's quite extraordinary so to have Mitch back around the unit and obviously Ryan Harris, the way he bowled over in England was exceptional, so I think we have a nice strong attack ready to go. Pitter Siddle career best of 6-54 was against England at the Gabba back in 2010 when he dismissed Cook, Matt Prior and Stuart Broad with a hat-trick and also claimed the wickets of Kevin Pietersen, Collingwood and Swann.Obviously it's a highlight of my career but if you look back on it you want to win Test matches and that's why we play the game, he said. It is something once I've retired I will look back and enjoy a lot more than I have now. I'd have rather won that Test match and won the series than worrying about entity highlights. Australia is hoping to reclaim the Ashes in the five-Test series after three successive losses. It was the sort of baton-passing moment you see only in films. The old veteran walked out of the park with the disappointment of a failure. In walked the young upstart with dreams in his eyes and the hope of making this occasion at the Eden Gardens one to remember. And what a fine job he did of it. Rohit Sharma repaid the faith posed in him over the years with a wonderful hundred on Test debut. It was an innings that had the steel of Rahul Dravid, the fire of Sachin Tendulkar and the silk of VVS.Laxman, all pointing to one thing only: it’s time for India to move on. 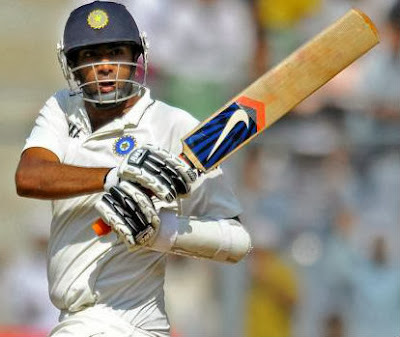 Giving Rohit rock-steady company is Ravichandran Ashwin, in sight of his 2nd Test hundred against the West Indies. India was 83-5 early in the day, most of that damage inflicted by Shane Shillingford, the off-spinner that Sunil Gavaskar had written off as Not Graeme Swann. The lanky bowler with the fairly jerky action belied all expectations to decimate the Indian top-order batsmen’s with his accurate off-spin. There was turn, dip and bounce, all of which India would be wary of if and when they bat again. For now, India can bask in a fight-back led by 2 fine players who have pumped the lead up to 120 runs with a 198-run stand for 7th wicket. the off-spinner began his day dismissing Dhawan. The ball didn’t come on, stayed low and the left-hander played it on. Murali Vijay was done in by a stunning doosra. Vijay had stepped out to defend it, but Shillingford saw him coming. 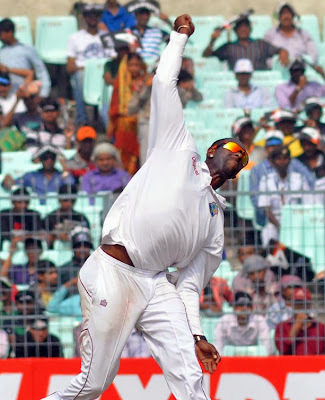 The ball dipped on Vijay, bounced over his prod and Denesh Ramdin did the rest. Then, the moment Eden Gardens had been waiting for. Tendulkar took his time to leave his seat in the dressing room. He arrived to the crease with thunderous applauses. Then, he had a long chat with Cheteshwar Pujara. The chat ended with a fist bump. He was trying to build himself up for the moment. He then marked his guard, tapped his gear into place and lastly faced up to Shillingford. He began assuredly. Two firm, confident defenses one off the front foot, the other off the back bookended two easy fours he whipped off Shillingford. Then, the fatal mistake. He played back to a slightly short ball. It was a doosra that hit him on the thigh. Umpire Nigel Llong decided it was good enough for the LBW. Captain MS Dhoni began the repairs with Rohit Sharma. But before their partnership acquired a menacing size, Dhoni was caught behind poking at a ball far outside his line of sight. it was to Shilling ford’s disadvantage that he had little support from the other end. Permaul had no effect with his left-arm spinners while Tino Best and Cotterrell could not build any kind of pressure on Rohit Sharma, MS. Dhoni and R.Ashwin. 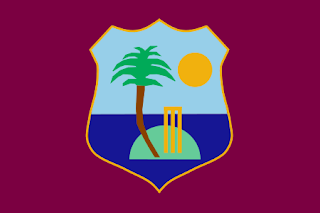 By the evening session, Darren Sammy’s attack had been deflated. In the twilight, Rohit brought up his hundred with a streak wide of the slips. Tomorrow, Ashwin will eye his hundred. And when he does, it would be a fitting moment to say goodbye to the old guard and welcome this new one. His inclusion gave the Indian bowling attack the shot in the arm it very much needed, but the modest Mohammad Shami said his hit was down to a fresh wicket. We bowled first so there was always help from a fresh wicket. There was no surprising carry or bounce in the wicket. It was going good before the rain. But it became slow thereafter, Shami said reporters after the fourth ODI was abandoned due to rain. The plan was just not to give any room to Finch as he was playing well. We just kept our focus on that and wanted them to play as much as possible and we got success. Shami often crossed the 140 km/ h mark and when quiz about the secret, he said. Asked about the six dropped catches during Australia innings, Shami said: its part and parcel of the game. We try not to make any mistakes. Nobody drops a catch intentionally. Shami also came in for a lot of praise from Captain Dhoni. He is deceptive. He bowls faster than you think. What was main was he bowled full and the wickets he got, he was hitting the bails, MS Dhoni said. In the death overs, he was getting the yorkers in pretty constantly. Australia captain George Bailey gave credit to Shami and batsman Maxwell for setting up an interesting game. I thought Maxwell found conducive to stroke play. It was still a good batting wicket. Probably what it did that the other wickets haven't done is it swung and seamed and spat a little bit, mainly at the start. Obviously Mohammed Shami, he bowled very well. He is someone we haven’t seen in the series and he was a little bit faster than what we expected. He certainly got a bit of movement off the seam. That’s something to be pretty aware of for the rest of the series. That obviously what’s going to be coming at us? Having said that, from the moment Maxwell strode to the crease, he made it look like a different wicket. Labels: India vs Australia Series, Mohammed Shami. Afghanistan reached the World Cup for the 1st time on Friday (04-10-13), completing a remarkable journey from immigrant camp cricket to rubbing shoulders with the sport's superpowers. The team who were playing in the 5th-tier just 5 years ago, and are forced by the precarious security situation in their country to stage home matches in the Gulf, swept past Kenya by 7 wickets to secure an historic spot in the 2015 showpiece. After dismissing Kenya for just 93 in the 44th over at the Sharjah Cricket Ground, Afghanistan reached their target in the 21st over when skipper Mohammad Nabi hit Shem Ngoche for a boundary through midwicket. 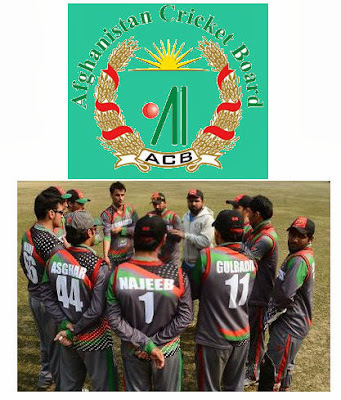 They had to endure a brief moment of worry before romping to win when they were reduced to 34 for 3.But Nabi, who ended on 46 not out, and Hashmatullah Shaidi, put on 62 for the fourth wicket to bring their side home with 175 balls to spare. Nabi smashed two huge 6 and 3 fours to assure his team of second place in the World Cricket League behind runaway winners Ireland who have also qualified for the World Cup. Afghanistan will play in Pool A at the World Cup in 2015 along with co-hosts Australia and New Zealand as well as Bangladesh, England, Sri Lanka and another qualifier. Netherlands, UAE, Scotland, Kenya, Namibia, Canada, Uganda, Hong Kong, Nepal and Papua New Guinea will now compete for the last 2 World Cup berths at the last qualifying event to be staged in New Zealand in February next year. Afghanistan were already overwhelming favourites to beat Kenya in the last match of an exhausting 2-year qualifying competition. In Monday Twenty20 international, they routed the African side by 106 runs and carried that form through to Wednesday when they romped to victory by 8 wickets in the first of the 2 determining ODIs.Then, Kenya were dismissed for just 89 with Afghanistan reaching their target inside 18 overs. On Friday, Kenya were put into bat and struggled again with Morris Ouma top-scoring with 39. Rakep Patel, with 18, was the only other batsman to reach double figures in an innings where the first boundary didn't arrive until the 16th over. Slow left-armer Hamza Hotak was the leading Afghanistan bowler, claiming 3-19 off his 10 overs. England has rested Alastair Cook, James Anderson, Ian Bell, Stuart Broad and Graeme Swann for the 5-match ODI series against Australia next month.